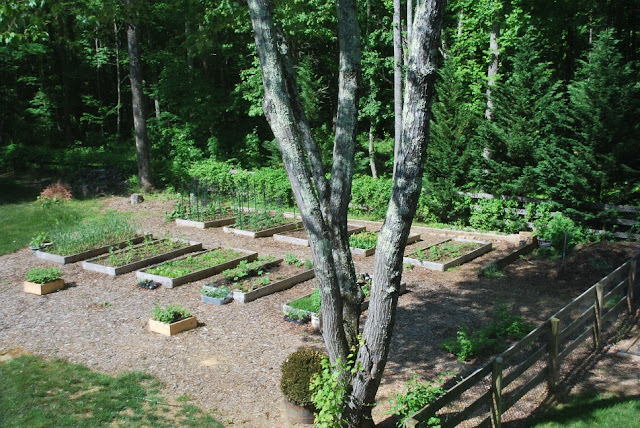 This past gardening season wasn’t as cohesive as I wanted it to be, but it was definitely a learning experience! The kitchen upgrade earlier this year took a lot of the starch, time, and energy out of my sails, so I didn’t devote as much of myself to the garden later in the year. I know hindsight is 20/20 and wished I knew we were getting ready to list the house this coming year, as I would have enjoyed the garden more. Of the 2 or 3 things I am going to miss most about where we live now, the garden is one of them. It always is. Still, I am going to plan for a garden next year, as you never know how long your house will sit on the market, especially in a rural area. 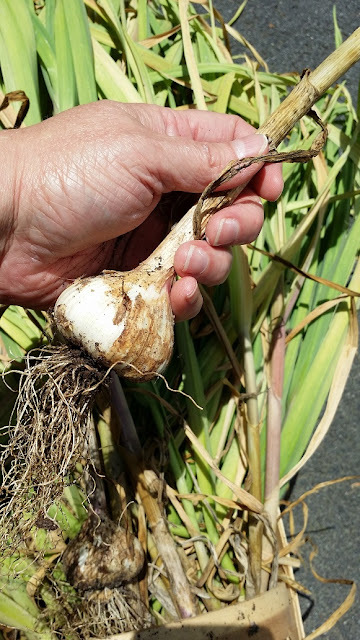 This year’s winter sowing was a disappointment. I used a different approach and a different growing medium and both were a flop. Next year, it’s back to a soilless growing mix and I will try a combo of growing in cups and tubs. This year I tried a few new things and fava beans were one of them. 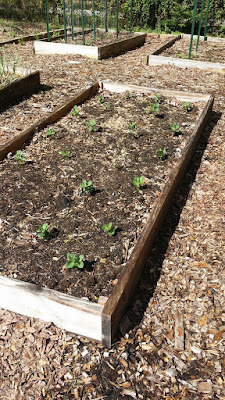 What I DIDN’T know is that you really need to plant them very close together (at least with the Broad Windsor Fava Beans I grew), as what came up were lanky, vine-y things. 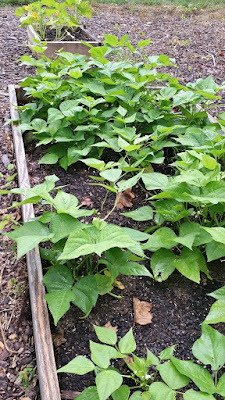 I only got a handful of beans out of what I planted, as they were too far spaced out and not enough of them were planted. I learned my greens DO NOT like the sunnier, front beds. 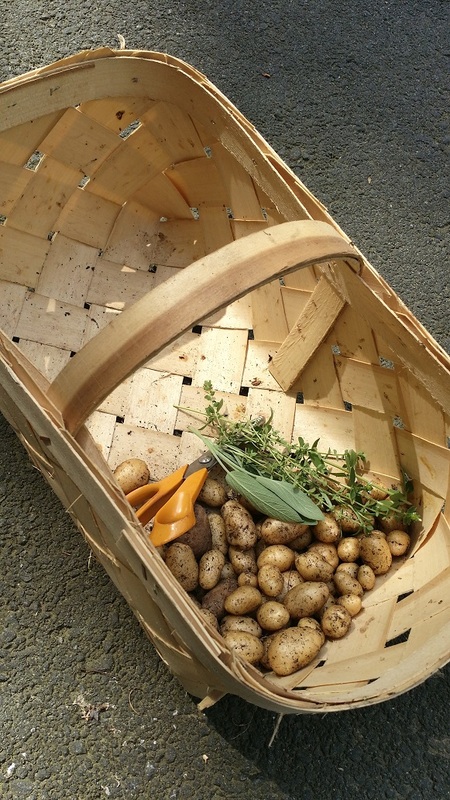 I grew 2 beds of greens and only got harvest really from one: the shadier back bed. Lot’s of new things happened this spring! 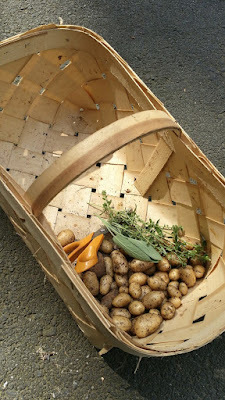 I grew and harvested a new favorite: Fingerling Potatoes! I am definitely growing those again next year. 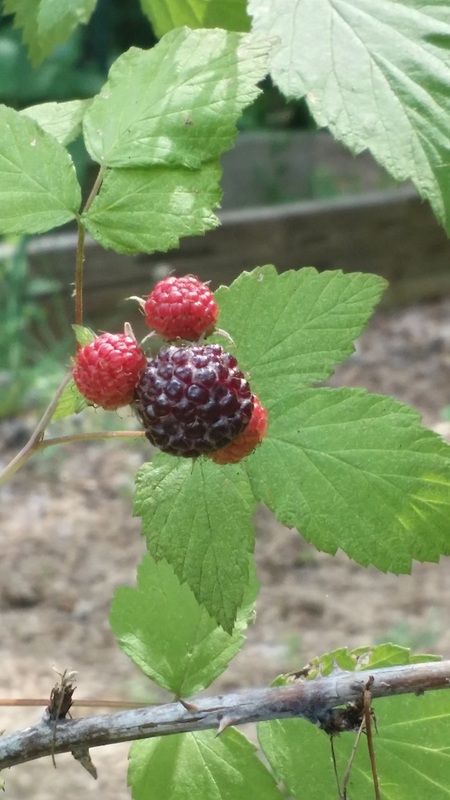 The Bristow Black Raspberry gave me a nice harvest…about a pint or two. Still, none of them made it inside, as all berries were eaten on the spot! 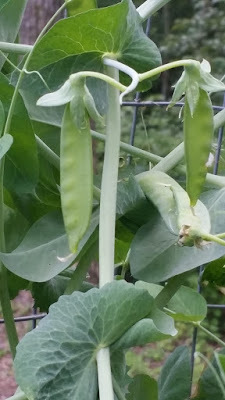 The Mammoth Melting Sugar Peas were a good, solid stand-by. 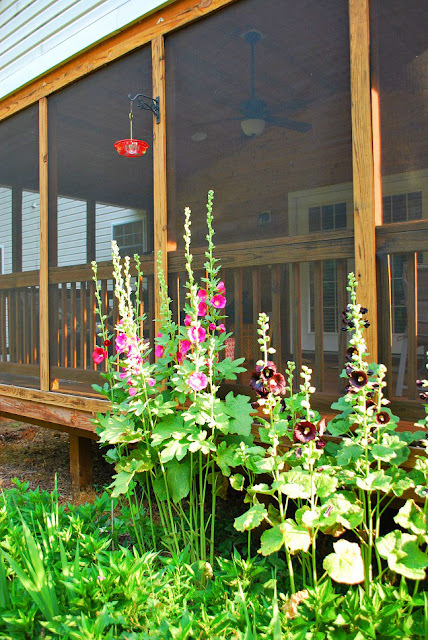 My hollyhocks from the previous year finally bloomed! Heaven. Supposedly, they come back for a third year in milder areas. Here's hoping! 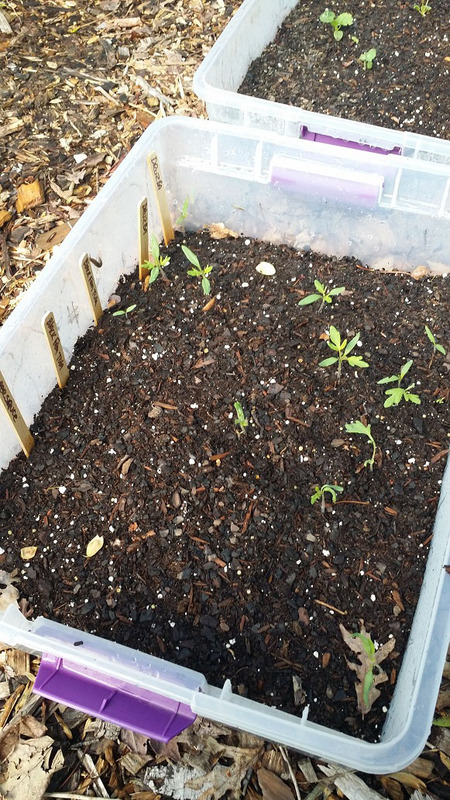 Last year, I grew a cover crop of hairy vetch to see how my tomatoes would do in the bed afterwards. It turns out pretty darn good! 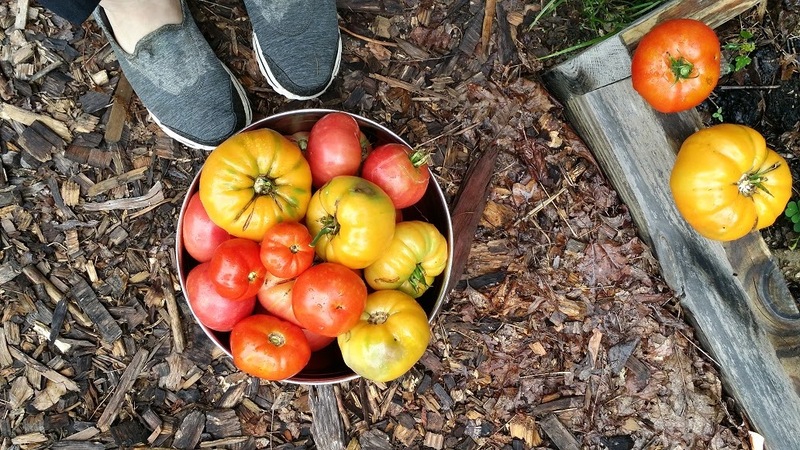 I planted my heirloom, winter sowed tomato plants in them and they did much better than my hybrids. The beds had less erosion afterwards as well. I stuck to my word and only grew tomatoes I would eat. I didn’t have the 250 lb. 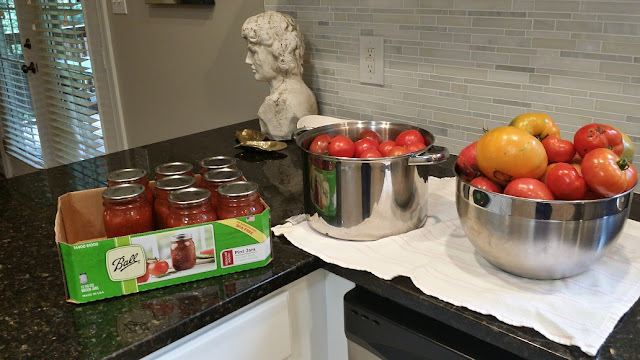 haul from the previous year….maybe half of that, but it was still enough for me and my husband to enjoy and can/preserve. Zucchini were new to me this year as well. I know…how have I gone this long and never grown zucchini? 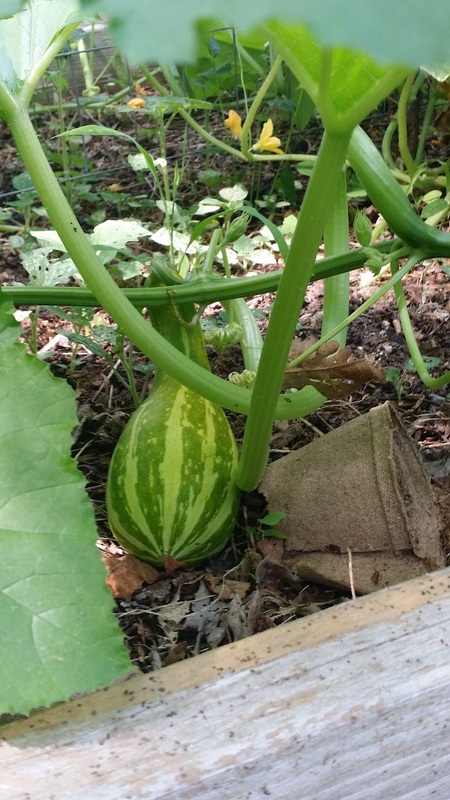 I liked them a lot, but was plagued by squash bugs and squash vine borers. 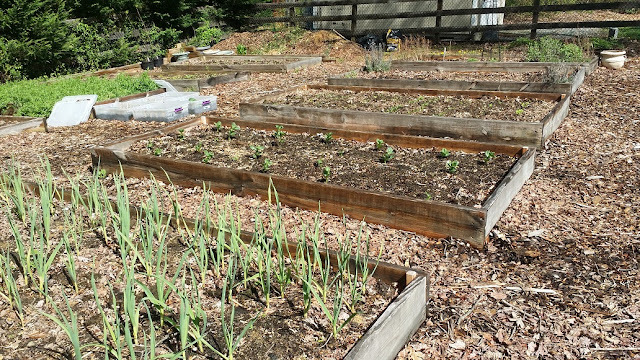 Next year, I will use crop covers to keep the critters out! 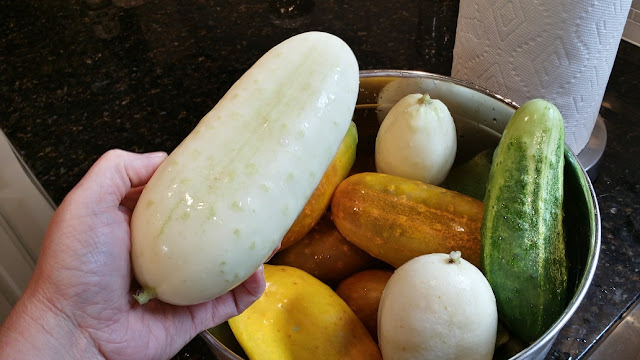 I tried White Wonder cucumbers this year. They were a gift seed pack from one of the seed companies I ordered from. Check out these alien looking things! I liked them though and think I will grow them again next year from some fun looking pickles. They didn’t do that great where they were planted this year. Too much shade. My garlic did MUCH better than the previous year where it did not get as much sun. I have another batch growing in the front beds as we speak. I ordered some new cloves to plant and made a point to label them this time. Heat and lack of rain were a big problem this year. We had a wet spring, but June-September was brutal. 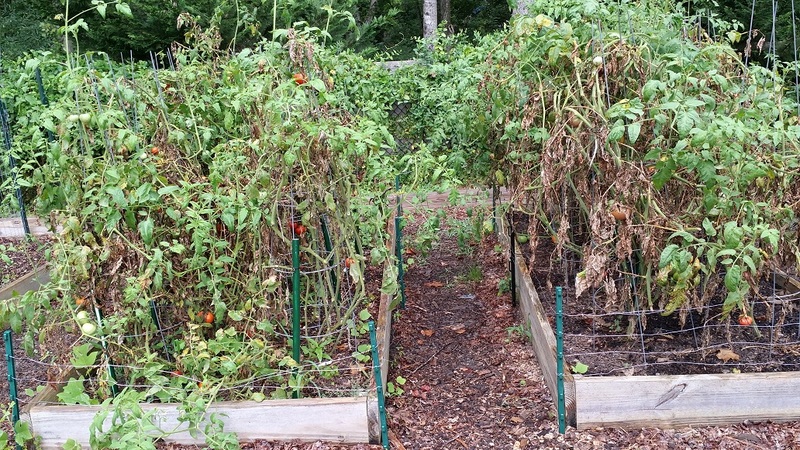 I learned how to pump water from my rain barrels with an electric pump, and my tomatoes were taken over early by blight. It was strange this year. The crows that plagued me last year were scarce. 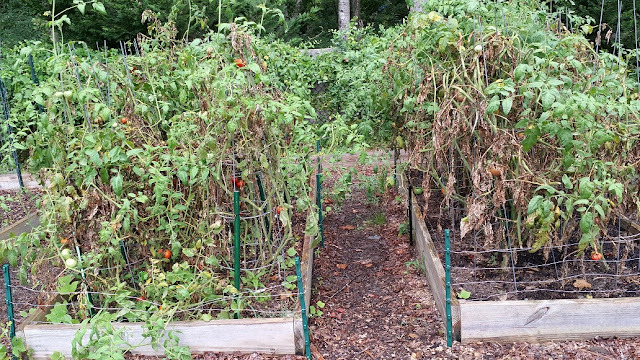 They gave a weak attempt at stealing some green tomatoes early in the season, but after that they kept away. I think they figured out that a "mean garden witch" lives at this house and will run out and chase them away if they hang out in the yard or near the garden. I know that crows are very smart and can remember and even identify people, so I'm hoping this memory will carry over to next year and they will stay away! My “mysterious monster vine” that volunteered and took over my cukes turned out to be boring, decorative gourds. Still, they were fun for Halloween and fall. 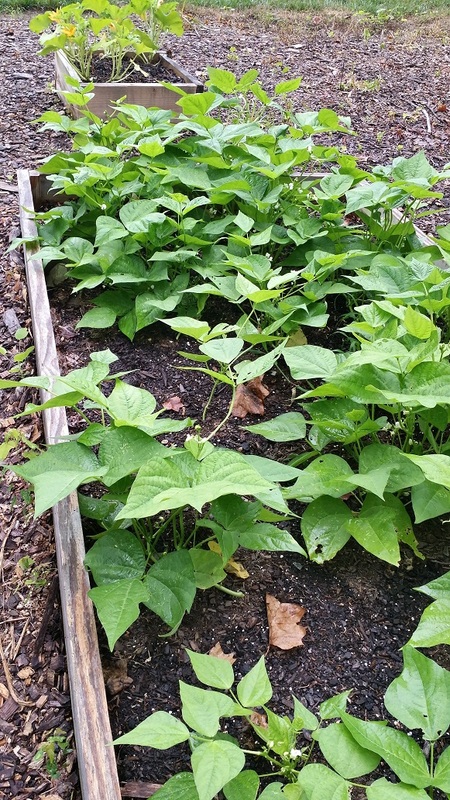 My bush beans did great as usual and had enough from 2 beds to can about 10-12 quarts. Remove as much of the yellow coneflower from the back bed – it’s a beast! Plant greens in back beds where they get more shade – they don’t like sun! Watch for ants eating phlox sprouts – We do actually have fire ants up here and they LOVE newly tender phlox sprouts. They almost killed the one plant I have.